Skin problems are very common today–polluted air and the stresses of everyday life have their reflection on the condition of our skin. Karin Theunissen the founder of SKNLOGIC decided to rethink skincare and create functional and effective solutions for your skin. 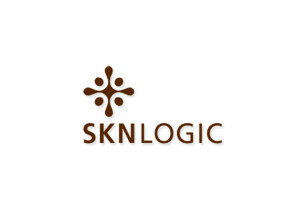 The perfect fusion of nature and science, SKNLOGIC skin care collection gives you powerful fruit-based formulas to regenerate, soothe, protect, nourish and restore the skin. Based on the skin classification of oily skin, dry skin and normal to combination skin, SKNLOGIC aims to treat each specific skin condition with the anti-oxidant and powerful nutritional benefits of fruit extracts. Our skin has the ability to heal and restore itself, SKNLOGIC provides the skin with the vital minerals and nutrients it needs to function to its optimum.